Over the years we have taken the kids to see many places and done many adventurous things. Of all the places we have visited, it never fails that the zoo is the one place where the kids can go and just be their silly selves. There are so many animals at the Zoo, doing what they do best – “be themselves.” The things that make animals unique, through a child’s eyes… who am I kidding… even through an adult’s eyes, are such funny sights to see. For example, who can resist a giggle at elephants playing in the water, giraffes getting a drink, and of course, monkeys doing what they do best, entertain us all. It was during these visits to the zoo and the continuous giggling sessions that followed that encouraged us to ask “what was so funny?” The kids would simply answer “what a silly animal!” After stringing together enough visits to the zoo, it was time to put all the experiences on paper. We thought a book would be a great way to showcase all the funny, little things that animals do in one place. Through a book, we can bring those “silly sights” to each and every child in the comfort of their own homes, schools, and libraries. What we needed was someone who could tell our silly story of all of our numerous trips to the zoo through illustrations. After seeing Len DiSalvo’s work in other books, we realized that this would soon become a reality. We talked with Len about the story and our vision of what it could be. Len enjoyed his trip through the zoo and he came up with a series of illustrations that took us back to those moments we had with our kids. And of course when he sent us the Silly Zoo Is All I Can Say cover, we knew that we were on our way to share with everyone a chance to visit the Silly Zoo. 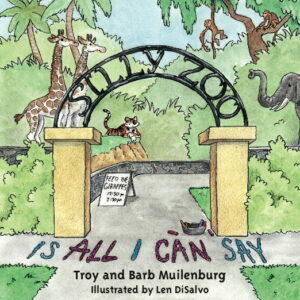 Silly Zoo Is All I Can Say, a children’s book for kids aged 4-8 will be released and available in May on our website and on Amazon. I am sure you have had some good times at the Zoo as well. 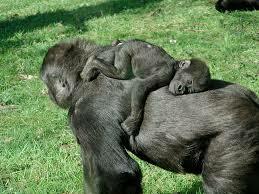 What is your funniest memories of visiting a zoo? 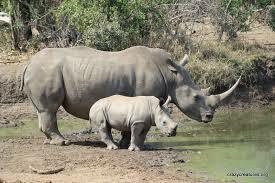 What is your favorite zoo animal?